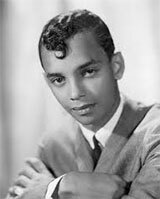 Born Gary Levohn Anderson, Gary U. S. Bonds started his singing career early when this young son of a music teacher started singing in the church choir. As a teenager, he joined the Turks, a local quartet that won talent shows and performed regularly on the street outside Boone’s Grocery in the Brambleton section of Norfolk. Norfolk record store owner Frank Guida spotted the Turks when he was looking for talent for his new music label, LeGrand Records and he signed Gary as one of his first artists. He suggested Gary change his last name to U. S. Bonds, after noticing a sign outside his Princess Anne Road recording studio encouraging Americans to buy bonds. Bonds’ first record, “New Orleans,” was a smash hit, and rose to the top 10 in the fall of 1960. In 1961, “Quarter to Three,” backed by the Church Street Five and Daddy G, also topped the charts. These were followed by “School is Out,” “Dear Lady Twist,” and “Twist, Twist Señora,” all top hits in 1961 and 1962. Bonds’ distinctive style, combining rhythm & blues, calypso, and a background layer that hinted at a spontaneous party atmosphere, influenced the early Motown sound, Dion, and later, Bruce Springsteen. In the late 1970s, Springsteen began to use Bonds’ “Quarter to Three” as an encore in live concerts. Springsteen was a fan, and encouraged Bonds to record again. Bonds’ first new recording, Ritchie Valens’ “Come on, Let’s Go,” was followed by other top-40 tunes in the early 1980s. But it was the early 60s classics that earn Bonds his spot in rock & roll fame, offering proof that rock did not die with Buddy Holly, and pioneering a “Norfolk Sound” that inspired a new generation of music.